We all know Diptyque produce the most stunning candles both visually and as a sensory experience. 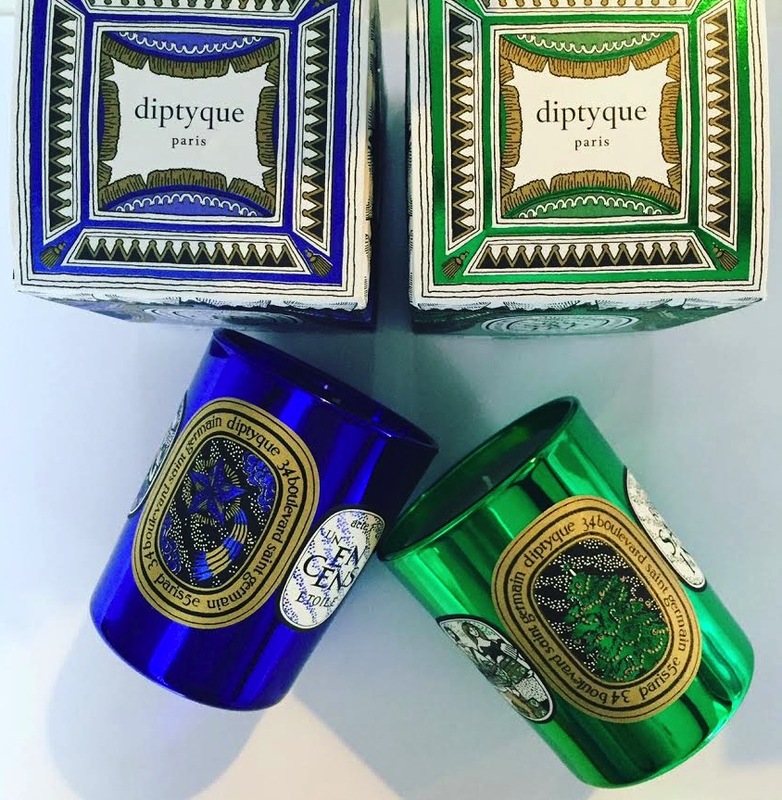 This Christmas doesn't disappoint and to set the scent in your home they have three luxurious miniature candles. Each candle is set into a metallic vibrant holder with a beautiful festive design adhered. We have two of the three available to share with you. A heady mixture of spicy clove, Elemi, incense with a sweet vanilla. It's warming, distinctively bold and when lit it has an unmissable warming softly spicy aroma. Would be great in an entrance hallway to welcome in family and friends. The holder is an opulent rich eye catching purple. Like a winter walk in the forest this smells fresh and woody. Pine, resin Cedar and Patchouli infused and held in a festive metallic green holder. Would be nice to burn in your dining room over Christmas lunch. There is also a warm ginger and Star anaise candle in red available but we don't have this one to show you. These candles are 70g and are £28.00 each. They are also available in 190g for £48.00. You can purchase them here. 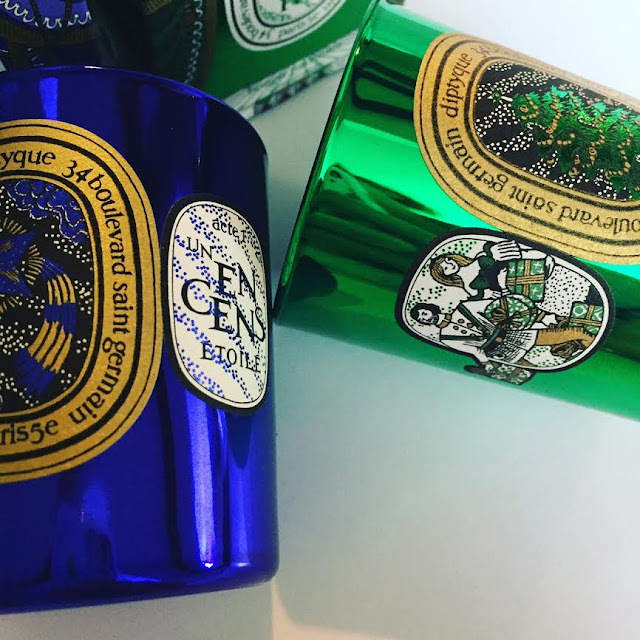 Just love the packaging of these Diptyque candles. They are so beautiful!